New Delhi: Second preparatory meeting for the World Odia Convention (Vishwa Odia Sammilani) was held at the Press Club of India here, today. 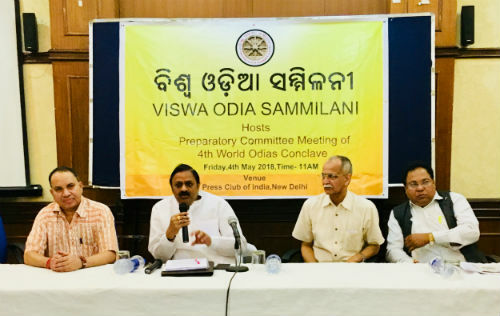 Fourth world Odia convention in New Delhi is slated to be organized during the month of July with a spirit to materialize the dreams of the architect of modern Odisha Barrister Madhu Sudan Das and the founder of ‘Vishwa Odia Sammilani’, Rajkishore Raj. Attendees pledged unanimously to make the silver jubilee of the Vishwa Odia Sammilani a grand success. Primary objective of the ‘Sammilani’ is to bring nearly seven crore Odias across the globe onto one platform to realize for seeing all-round development of their mother sate. International Ambedkar Foundation auditorium at the national capital will be the venue where the convention will be held on the 28th and 29th July this year, as declared by the president of the ‘Vishwa Odia Sammilani’, Mr Murali Manohar Sharma who presided over the preparatory meeting. Reception and organizing committees are also constituted in this preparatory meeting. Mr Rabindranath Pradhan and Mr Sangram Dhar were named as the chairman and co-chairman, respectively in the reception committee. Mr Akshay Samal and Ms. Reeta Patra were chosen as the vice chairmen. The organizing committee was formed under the chairmanship of Mr. Kshirod Kumar Jena. Mr Gobardhan Dhal and Ms. Shravani Swain would be the vice-chairmen and Former Ambassador, Mr Amarendra Khatua would be the co-chairman. 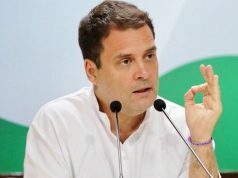 Mr Pranab Pani would be the principal spokesperson and the senior advocate Mr Sanjeev Kumar Mohanty would be the co-principal spokesperson. Mr Sanjeev Pattnaik and Shrimati Sashmita Tripathy will act as the deputy spokespersons, also. Smt. 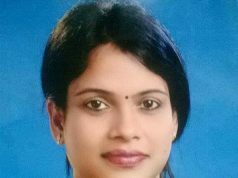 Prantashri Jena is nominated as the coordinator for the United States of America. National and international convener of ‘Vishwa Odia Sammilani’ and senior journalist, Mr Kishore Dwivedi was also present in the Friday’s preparatory meeting.